One of the most followed Indian bloggers, Arnab Ray (or Greatbong, his preferred online moniker) is a man of many talents. An expert on cyber-security and all things pop-culture, he also happens to be a best-selling novelist. 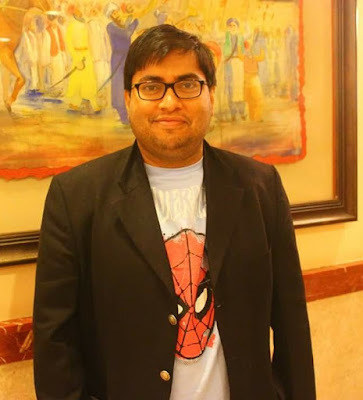 His published novels are ‘May I Hebb Your Attention Pliss’, ‘The Mine’, ‘Yatrik’, ‘Sultan of Delhi : Ascension’, and the just released ‘The Mahabharata Murders’. In this unedited email interview, we take a closer look at the man who, among other things, brought ‘Gunda’ to the masses. Kanishka: ‘The Mahabharata Murders’ is out on the Juggernaut App to very positive reviews. The print copy has just released. High expectations? Arnab Ray: Always. My expectations for my books are like those of a desi dad sitting in the audience of a Spelling Bee when his offspring is on stage. I live vicariously through my creations. 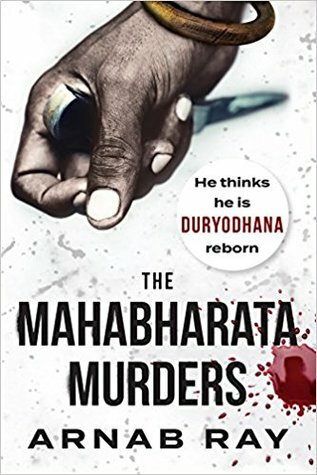 What particularly struck a chord with 'The Mahabharata Murders' is we get an insight into Duryodhana's (albeit modern day) point of view. Many of us have grown up wondering how fair and justifiable the Pandavas were, but it is Karna who is generally viewed as the tragic hero. Did you have a fascination with the character of Duryodhana? Always. When the Pandavas were in the forest, they sent spies to find out how Duryodhana was doing as an emperor. What they found out was he was a just ruler and the subjects were pleased with him. He opened his arms for Karna, perhaps strategically, but even then, it was an opportunity no one else was willing to take. Chetan Bhagat waxed his legs so that he could understand the female psyche better, enabling him to write from the point of view of a woman (One Indian Girl). What did you have to do to write in the first person as Rukhsana, the protagonist of the Mahabharata Murders? Each of us a have a male and a female side, and for the Mahabharata Murders I just got in touch with my female side. It does not require removal of body hair from any portion of the body to make that happen. Your thoughts on the still nascent category of ebooks in India? Given the monopoly of the Kindle, do you think apps like Juggernaut have potential for growth? The competition of Juggernaut-like apps with Kindle is not on the UX (that is easily replicated), but on the pricing. If you can optimize the delivery and thus undercut Amazon's markup, these apps have a good business case. Consumers are likely to find books available for much lower on these kind of publisher apps than they would on Amazon, and the Indian book consumer is extremely price conscious when it comes to "desi" authors like us. Rs 20 here and there makes a difference. Humour, horror, drama, thriller, crime-fiction. You haven't repeated a genre yet. We know that Sultan Of Delhi's sequel is coming out some time next year. How is it progressing so far? And what after that? In 2019 most likely. Haven’t been writing SOD2 for some time. After that, I am going to return to horror, but traditional Indian horror, with a book called Shakchunni, set in 1930s Bengal. Your novels have had passing elements of romance. Any plans of doing an out and out romance fiction? A very popular genre that you haven't fully explored yet. Sultan of Delhi has strong elements of romance, as you possibly alluded to. I do want to out and out romance fiction, but herein lies a problem. I am the wrong gender, wrong age, and wrong BMI to write romance. For the Indian market, a successful romance book is as much as about the author as much as it is about the story. Also when I say I want to write out and out romance, it will not be conventional (I do not like writing conventions) but twisted, and combined with who I am and how I look in a high resolution photo, I hesitate. You have a 9 to 5 job, you write novels, you tweet regularly, you blog (unfortunately no longer as frequently). How difficult or easy has it been so far? It gets increasingly difficult---fatherhood, increased responsibility at work. Which is why I do not blog as frequently, and the books will become more and more infrequent as we go on. You come across as quite opinionated on social media and aren't really afraid to call a spade a spade. Do you think that this may alienate some of your readers? Of course it does. It screws up my media coverage, leads to awkward dinner-time conversations at lit fests, and makes me persona non grata in some venues. But the thing is, I cannot be not me. You know what I am scared of? That the person who becomes a big author will not be me, but a person who looks like me but does not share my opinions, and I would feel jealous all over again. You are an unabashed fan of the 90s movies. But, Mithun da, Kanti Shah and the Ramsay Brothers are no longer the forces they used to be. Where are you getting your "so-bad-that-it's-good" fixes from these days? What was your "oh, so I am kind of famous" moment? It is usually being recognized. In airports, in malls. "Excuse me, are you Greatbong?". I won't pretend it does not feel good, though I make suitably embarrassed gestures. 5 books down. Great reviews. But you haven't really matched the kind of popularity levels that one would expect from a writer of your calibre. Any regrets? Any plans to do things differently in the future? Many regrets. I wish I had started writing sooner. I wish I had been born a bit later. I know they are contradictory, but that is the thing with regrets. And no plans to do things differently, as I said before, if I reach my destination and it is not me, who it is then at the finish line? We have to ask you about your thoughts on the 'nepotism' incident and the events that followed. Compensates for global warming. The future is something to look forward to, after all. lit fest bans, awkward dinner table conversations... who cares?